ZOMG ZOMG ZOMG It's finally arrived!... Am I sounding a little too excitable? Well let's rewind a bit. 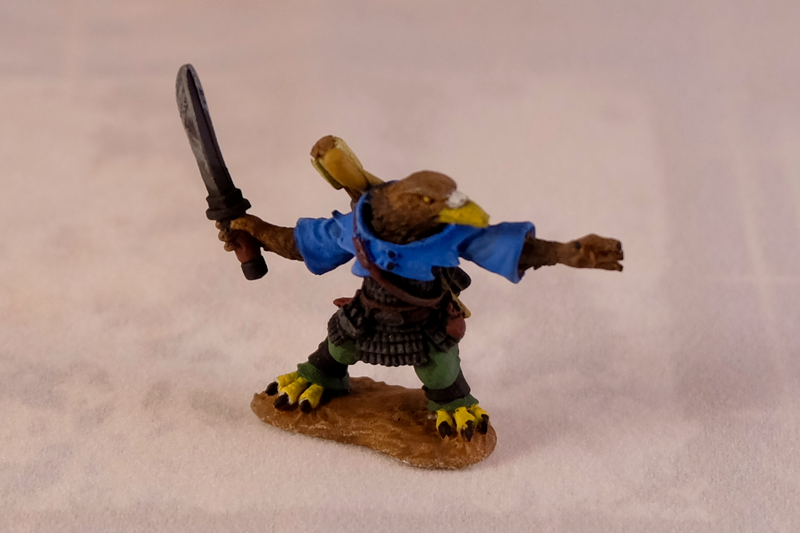 I enjoy taking photos of my miniatures, but I have always struggled with the quality of my images. Ever since I heard of light boxes I have debated buying one but with all the lights and bits and pieces, it seemed like a total faff. A few years later - there is a Prime Day discount on this kit and I went for it... then waited another month for it to actually ship and it arrived last night! 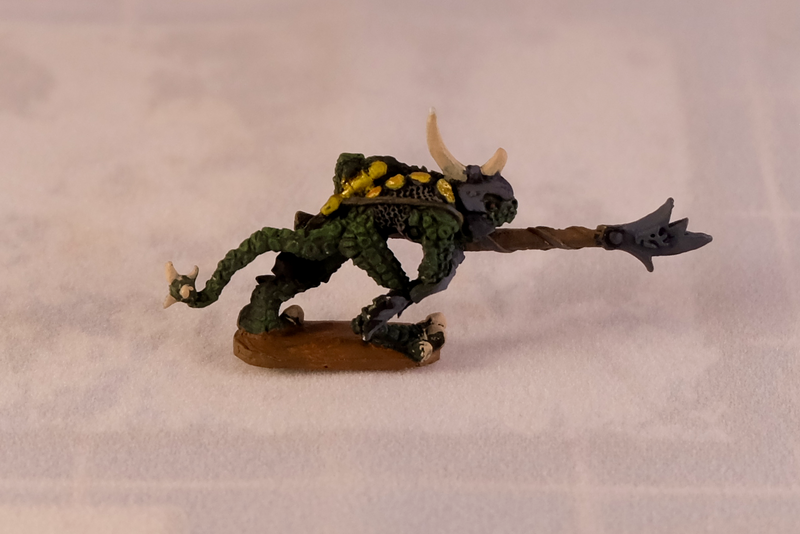 Obviously this guy is in super early days right now, but I am having a lot of fun painting up him and his 5 brothers. 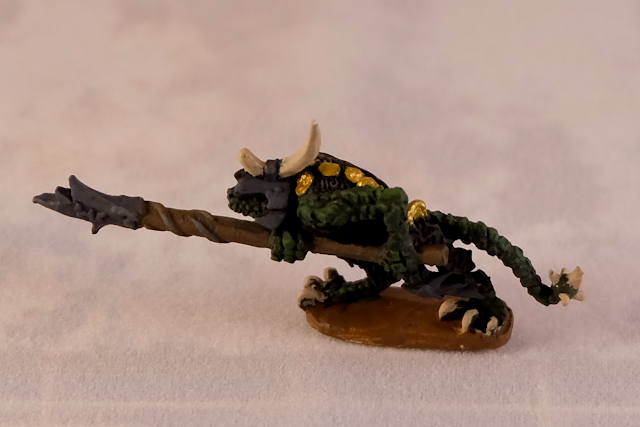 I will be putting more time into them once I have finished those pesky Ogres that I am currently working on. For now he made a convenient test subject while I was trying to remember what I had done with my GenCon figures! I really can't over state how happy with the finished effect of this one. 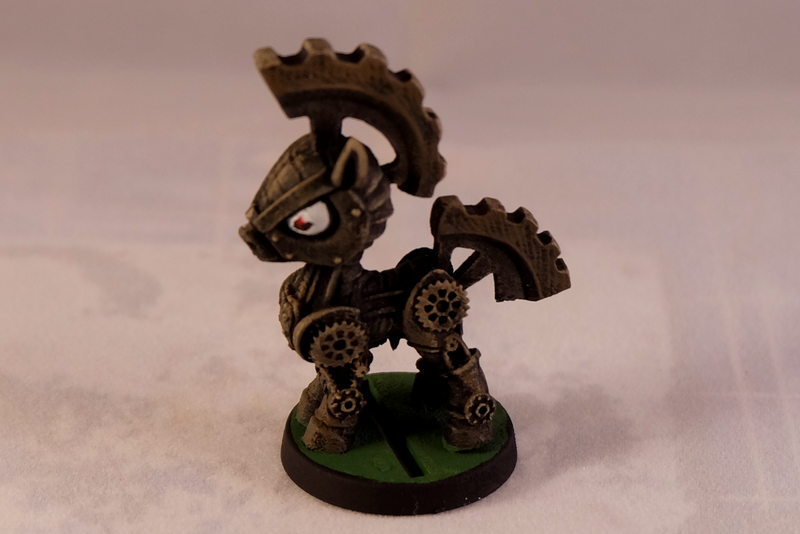 It may not have been much in the eyes of the judge (and to be fair there were some pretty spectacular, and colorful alternatives including a full rainbow pony that rightly won the round) however with this figure I managed a pretty effective NMM Bronze effect going from Black right the way up to highlights in the time allowed. 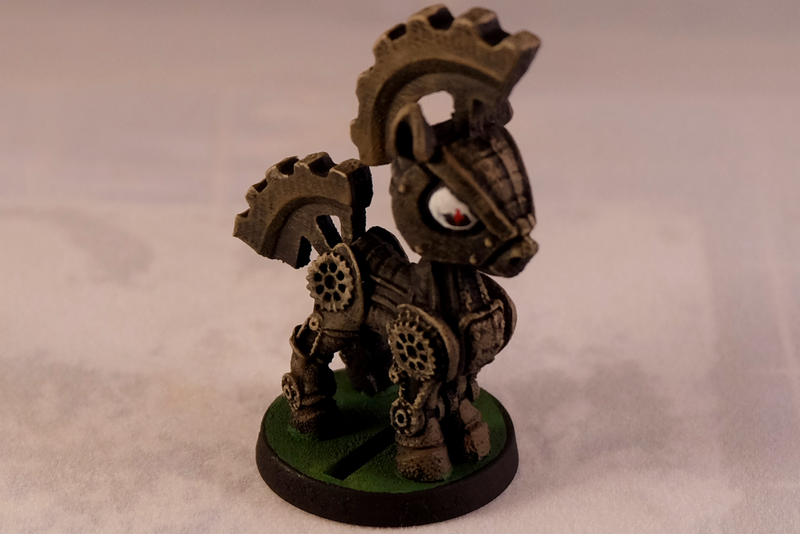 The eyes were a little disappointing for me as I had wanted to get something that seemed true chibi at first glance but gave a slightly robotic feel on closer inspection. I think I really should have looked up some anime eyes on my phone as I worked but I wasn't sure if that would be considered cheating. I also think I should have picked out some details to pick out to give the figure a little more 'pop'. The monotone really does the figure a bit of a disservice. 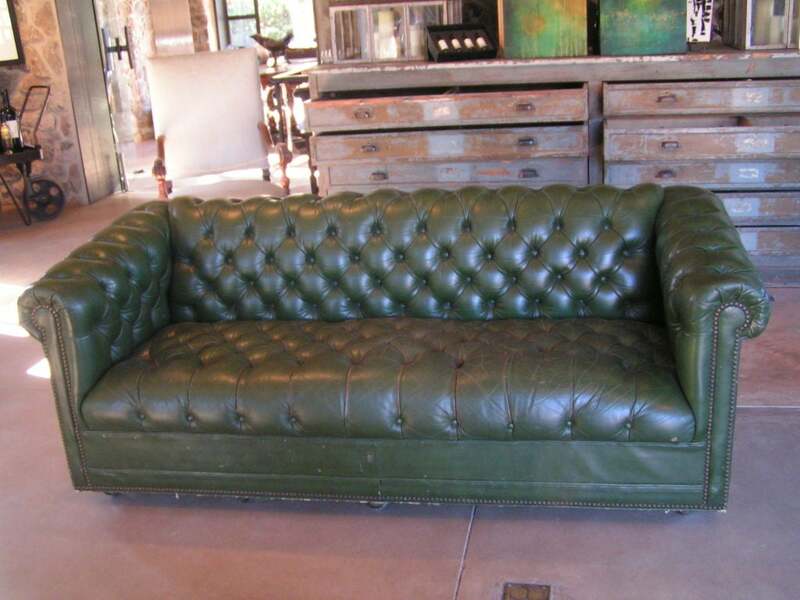 I just wasn't sure what or where, maybe green leather for the ears / back like an old Chesterfield Sofa. Although even these details may not have been enough to make it stand out against some of the more colorful offerings. Next up, there was the Reaper speed paint session and this fella. I have to say I was really stumped with this one. I am not much of an anthropomorph fan and haven't tried to paint one before (aside from Skaven... not sure if they count... maybe they do... but rats are pretty human-like already!). For some reason the blue hood popped very strongly into my head and I think it is from something I have seen before (although google-fu failed in finding the origin). I started painting before I realized that I still had no idea what color to paint the pants... or most of the rest of the figure... 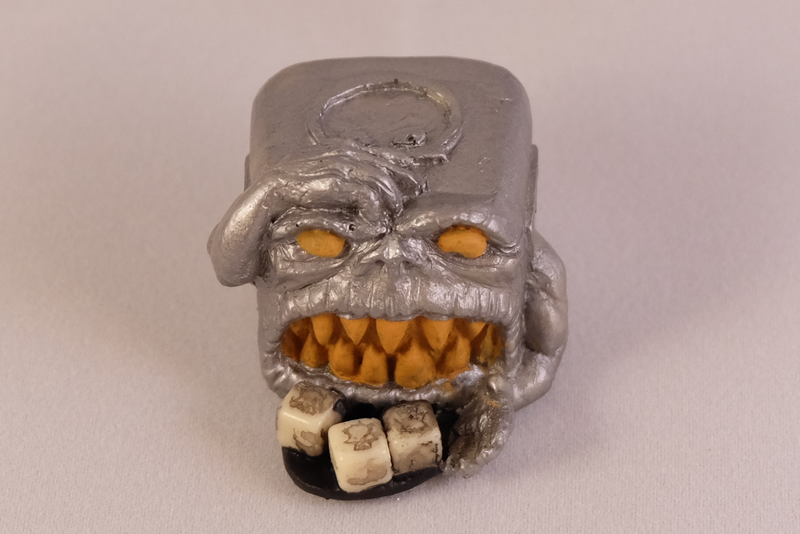 Still I am happy with the way he turned out given the time. 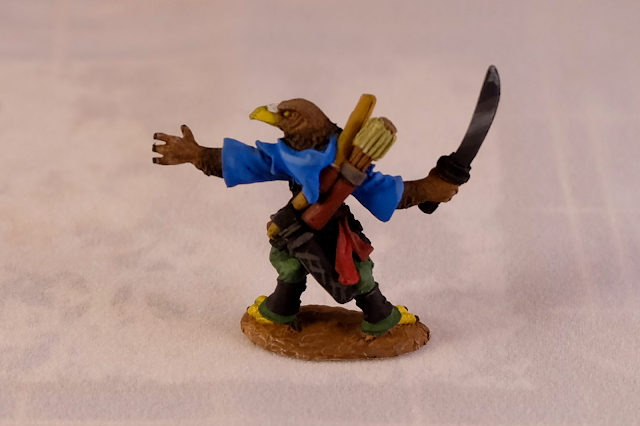 I did have a moment half way through when I suddenly felt like this bird wasn't really the eagle I had initially taken it to be and was rather something of a raven thief... and indeed looking at the reaper site, it seems that is the way he was intended to be... but I really am getting a bit tired of painting everything black (stupid Nuln Army) so I have no major regrets going eagle on this one. After a bit of a break, the next thing on the menu was the last event of the con - Intro to Blending. I was really looking forward to this class. I have always struggled with my impatience with highlighting and shading. The results are always clear lines of applied paint. Caleb gave us three different techniques to help ease the transition lines - spit blending, glazes and wet blending. These are a huge boon to my painting arsenal. To practice, we used some Reaper bones figures that Caleb provided. You may notice from the helmet in particular that it appears as though the figure had a primer applied (a supposed nono with reaper figures!). As I understand it, Caleb airbrushes his figures with a black primer and then a top down coat of white to give an instant highlight effect. This is a similar idea to what I had done with my Ogres albeit with an airbrush rather than spray primers that I use. My understanding is that the two problems with bones are the hydrophobic properties and the chemical interactions between the PVC and the accelerant in commercial primers leaving a tacky feel to the figures. Airbrushing doesn't use the accelerants and the thinners that are used for airbrushes are not water based, allowing a perfect finish. For the exercise, we focused on the shield as it was a large enough surface to give us a good feel for the effects and how to apply them without having to worry about the fiddly necessities of bordering areas, details etc. 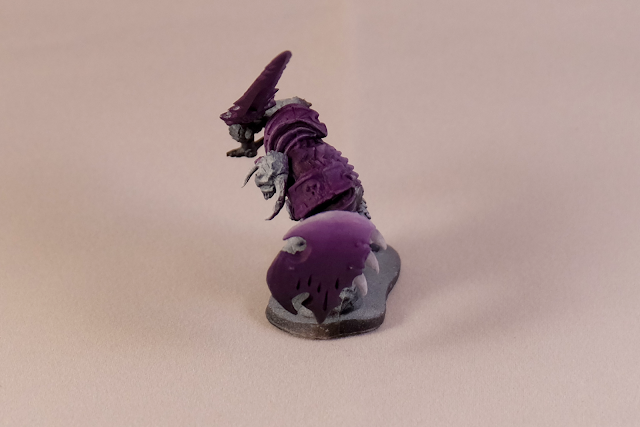 My group was using purples shading down to black and up to what was initially quite a bright grey, we ended up toning down the grey with a mix of purple to make less of a palette jump between base and highlight. After the Blending tutorial, there was some food, Mark Gunn's Drinking songs and gaming with the folks I'd come with before a VERY long night of trying to lighten suitcases, punch cardboard and packing. So there we have it! My Saturday at GenCon and possibly my best day at any convention ever. The painting experience really was quite exceptional!